Ever wonder how celebrities manage to have lush, smooth hair even in the worst of humidity and weather? The secret is a Brazilian blowout—a smoothing treatment that straightens your hair without causing any damage to the follicles. The treatment bonds protein to the outer layer of the hair, helping to protect, soften, and relax the strands. Then, a flat iron is used to seal the bond and leave your hair straight and smooth. An authentic Brazilian blowout is a simple process, but requires professionally trained stylists who specialize in the technique. The team at Salon Sleek is has years of experience in the Brazilian blowout and knows the exact process to give you flawless results. First, the hair is shampooed and carefully dried until only a small amount of moisture remains. Then, we apply the protein-based product to the hair, blow it dry, and flat iron the strands. Once the hair is completely dry, we shampoo the hair and thoroughly rinse out the product. Lastly, we apply conditioner, rinse it out, and dry the hair one last time. The process only takes about 90 minutes and is completely done as soon as you leave the salon. You can style your hair however you like and be confident that your straight, sleek look will last about three months. Want to be your own bombshell? 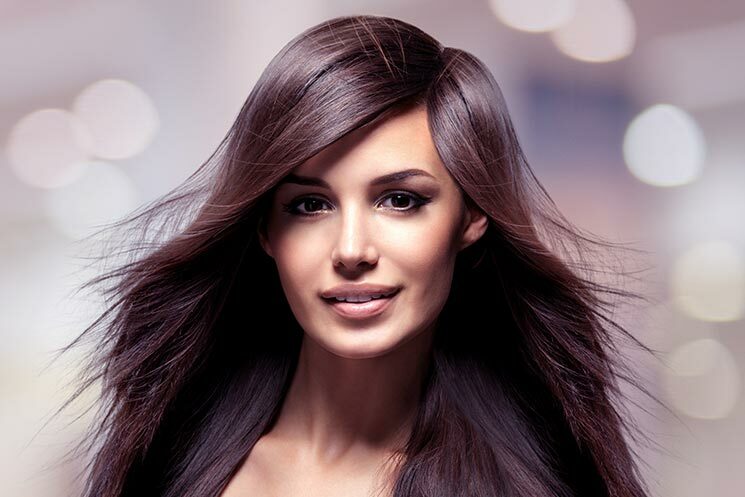 Call Salon Sleek today to schedule your Brazilian blowout.